Enjoy a healthful, hearty, kosher meal during Passover with our family-friendly feast. Kale is packed with antioxidants and Vitamin K, and these chips make for a great starter or snack any time of day. Trout and salmon are both high in omega-3 fatty acids, making them heart-healthy. Enjoy the lush tang of the Middle East with our Saffron Mac 'n Cheese, and finish off the night with the sweet, tropical medley of lime and coconut macaroons. 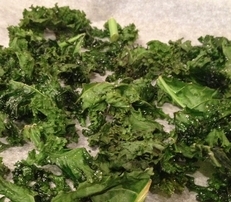 Spread kale on baking sheet (don’t overcrowd the pan, or the kale will steam). You will likely need to use several baking sheets depending on how large your bunch of kale is. Drizzle 2 tablespoons olive oil over kale and mix to make sure all kale has oil. Bake for 15 to 20 minutes until the kale is crisp. Sprinkle with Kosher salt when kale comes out of the oven. Take the trout out of the package. Remove the skin. Flake the trout with a fork or with your hands. 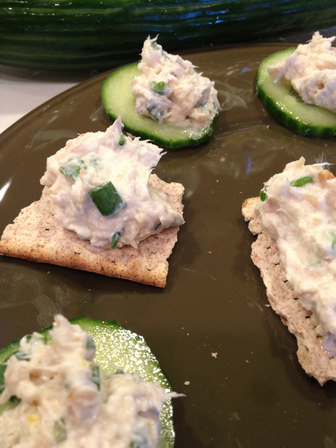 Add the remainder of ingredients (except the matzos), mix well, and serve on cucumber slices or matzos. Carrots sautéed in olive oil with 1 tablespoon of sugar as a side. Sear the salmon in a sauté pan over medium heat for 3 minutes per side. 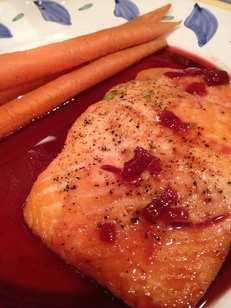 Place in the oven for 10 to 15 minutes depending on the thickness of your salmon. In a saucepan, add the pomegranate juice, orange juice, shallot, lemon, salt, and pepper and bring to a boil. Slow boil over medium high heat for 20 minutes until reduced by half. Add the honey and spoon over the salmon. Mix all ingredients together in a large mixing bowl. 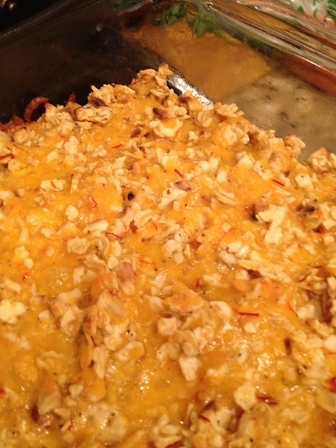 Add to the baking dish. Mix the coconut, condensed milk, lime, vanilla, and salt in a large mixing bowl. In a separate bowl, beat the egg whites until they form stiff peaks (this can be done by hand with a whisk or with an electric mixer with the whisk attachment). Gently mix (fold) the egg whites into the coconut mixture. Place a tablespoon-sized amount on a baking sheet and bake for about 25 minutes, until the top begins to become golden-brown. 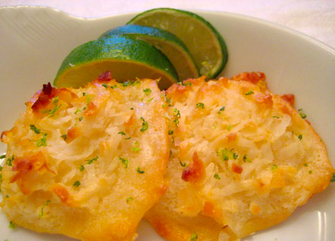 Sprinkle with lime zest immediately when they come out of the oven.